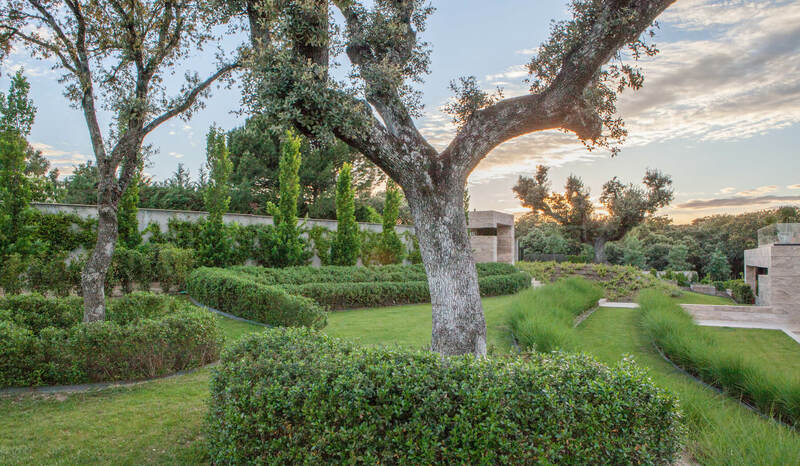 Saving the original holm-oak wood of this large, 8,000 meters square parcel was the key to this garden, where the formal entrance – marked by shrubs in organic forms and ornamental herbs – provides contrast with the areas used for actual planting. 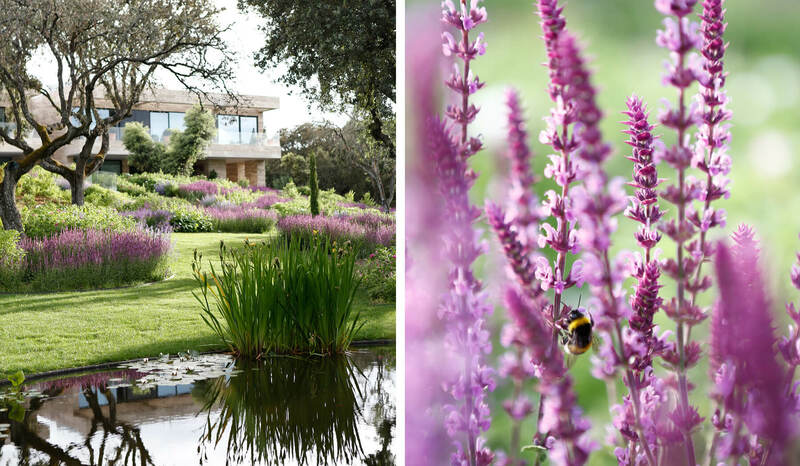 The terraces located at the front of the house make up for pronouncedly uneven terrain, allowing the salvias, rose bushes and nepetas to form descending masses between the hedges. 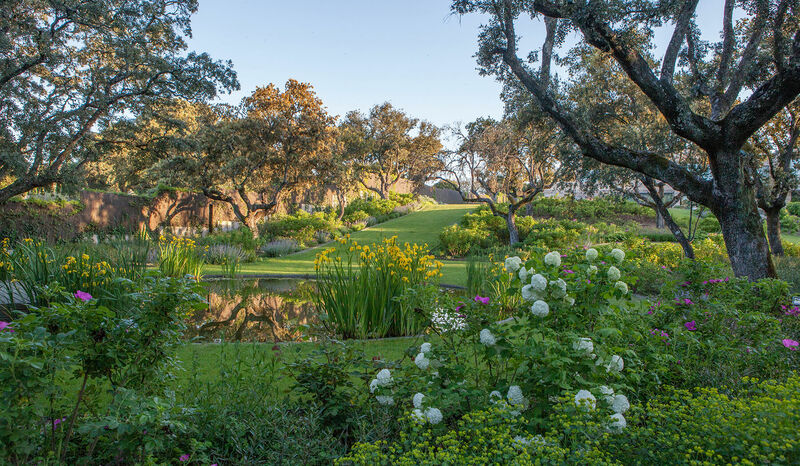 Three circular parterres open up around the holm oaks, giving way to a balanced mix of bushes and flowering perennials. The water in the pond replicates the circular pattern, surrounded by clumps of yellow-blossomed irises. 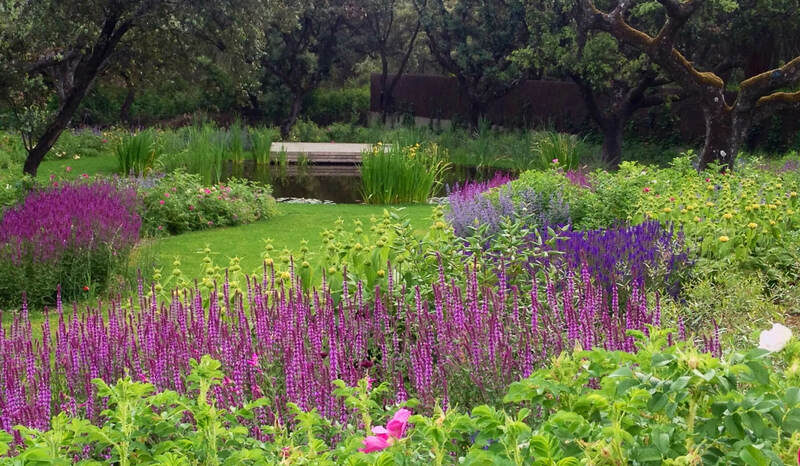 The continuous green of the grass unites the garden, which also includes a kitchen garden of orderly wooden planters.